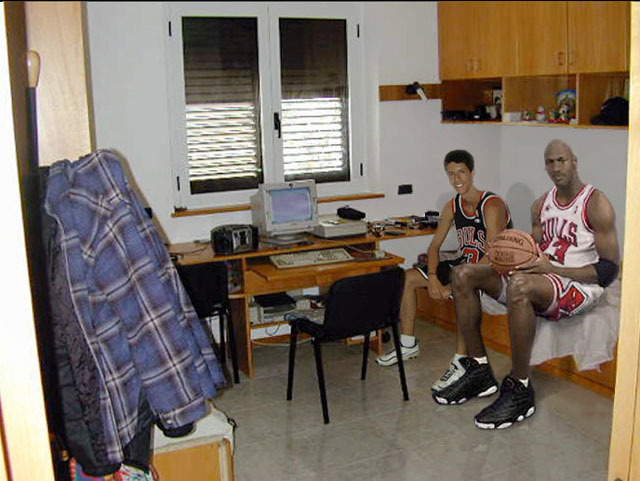 This is Micheal Jordan and me in my room - he passed to shoot some hoops with me out back...uh huh, sure. 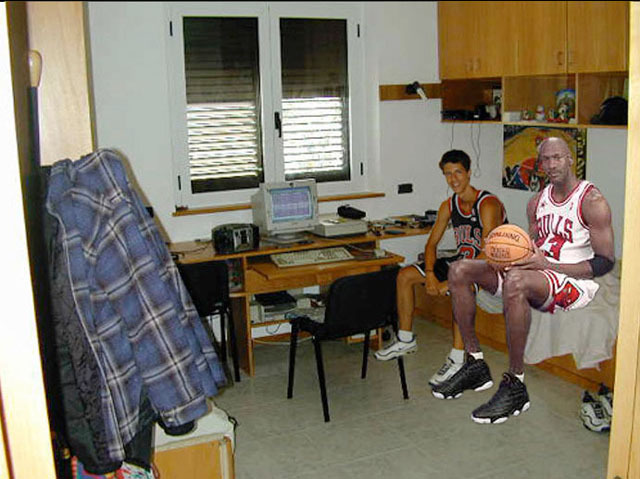 The first is my picture and Jordan's put on the background of my room. The second is the work after a few weeks: color adjustament, levels, lighting, and background clean, shadows, reflections etc...hell of a job.